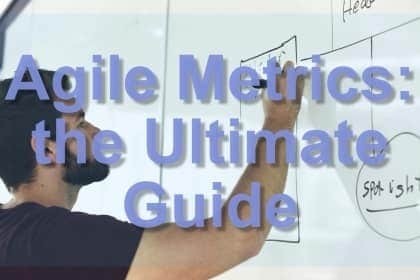 I wrote recently about Lean and Agile, the differences between the two, and their strengths and weaknesses. Things have become more confusing due to the arrival of a book called The Lean Startup. An American entrepreneur called Eric Ries wrote it in 2011, and it quickly became an influential and controversial work. It also inspired the title of this blog. It has now spawned a Lean Startup “movement” and an entire series of books. Lean UX, Lean Enterprise, Lean Analytics. So is all this stuff really “Lean”? How does it relate to the original Japanese Lean? Or is it more Agile? Then why is it called Lean Startup? Lean (aka Lean Manufacturing aka the Toyota Production System) had its origins in Japan in the 1950s and 1960s. Most of the ideas came from an engineer named Taiichi Ohno. It was also influenced by an American management theorist, W. Edwards Deming. The focus in Lean is on flow, process, quality, and continuous improvement. It proposes a radical rethinking of how we do manufacturing. Small batch size instead of large, work is triggered by pull (demand) rather than push (supply). Build quality into every stage of the process rather than test for it at the end. Break the process immediately if it is failing and permanently fix it. And workers should be continuously improving their own process. One of the main ideas in Lean is to always work to eliminate waste (Muda) in a process. Lean originally identified seven wastes, which later became eight (Defects, Over-production, Waiting, Non-utilised talent, Transport, Inventory, Motion, Extra-processing). The book “Lean Startup” started from an interesting question. What if there was another waste, a ninth waste, the greatest waste of all? And that is the waste of building something that nobody wants in the first place. If so, any attempts to optimise that process is futile, since the entire process and results are a waste. Eric Ries had noticed startup after startup fails for this very reason. They weren’t building products with weak or inefficient processes, they were building things that nobody wanted. These weren’t companies that were putting out a new improved Sedan car or an air conditioner with a better remote control. These were new unproved businesses with newunprovend offerings. They were operating under conditions of “extreme uncertainty”. Therefore, their overriding concern, above all others, should be to learn, as quickly and cheaply as possible, how valuable their product is. This is done by rapidly producing a “Minimum Viable Product”, a minimal stripped down version of what you might end up building. One that you can quickly put out to market to produce validated learning. This learning will then inform your decision to “pivot or persevere”. The Lean Startup has been enormously influential and there are now countless startups following (more or less) this model. There are now also a series of books following in its wake, all based on similar ideas but extended to a specific field. I therefore see this as being a new “face” or version of Lean: a young American version, as compared to the old Japanese version. It is quite thoroughly different though was born out of the same desire: to eliminate waste and to focus on creating valuable quality products. 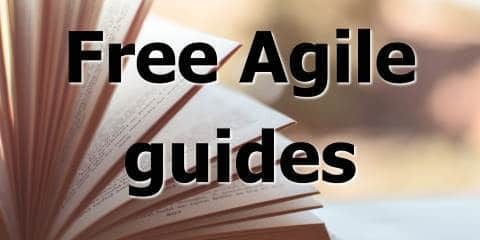 They are both different to Agile, also.